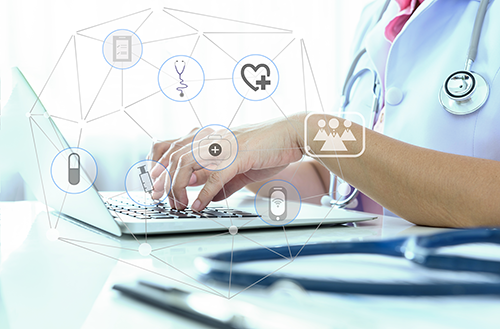 The Microsoft Azure cloud, coupled with Azure managed services and the Healthcare Security Envelopes from Project Hosts can help you realize your healthcare cloud goals with HIPAA compliance and HITRUST certification. The Healthcare Security Envelope on Azure, extends Azure’s built in IaaS and PaaS security compliance (HIPAA and HITRUST) to include all software and data running in the cloud. This ensures that all ePHI (electronic Personal Health Information) is fully protected from unauthorized access and/or theft. Whereas it might take customers and ISVs anywhere from six months to a year, and up to $500K to achieve compliance, with the Healthcare Security Envelope you can achieve same results in around 6 weeks and at a fraction of the cost. Non-compliance can mean criminal and civil penalties reaching upwards of $1.5 Million per incident, per year. Move on-premises Healthcare apps and workloads into a healthcare cloud with full compliance to secure ePHI. Move on-premises Windows and Linux apps into a HIPAA / HITRUST compliant Azure healthcare cloud quickly and cost-effectively. Leverage our expertise in Healthcare security standards and security control management methodologies to get, and maintain your compliance and certification. Reduce your compliance and hosting-related IT staff workloads and expenses while realizing more powerful and integrated cloud offerings. Spend more time developing new applications that improve your bottom line as opposed to operations and compliancy. Ensure the overall success and customer adoption of your cloud with ongoing monitoring, support and optimization. Whether you are migrating on-premises workloads or developing new apps like patient portals, when you deploy an application in our Azure Security Envelope we ensure your cloud solution is HIPAA / HITRUST compliant at the software level. Our cloud security experts ensure that all HIPAA / HITRUST security controls are implemented and documented for your deployment. We have extensive experience in hosting and managing Windows and Linux applications in Azure. We provide the necessary services to deploy, secure, and manage your applications with 24×7 monitoring, support, and ongoing maintenance. In many cases, we offer hybrid-cloud integration services to on-premises environments, Office 365 and other cloud environments. For Independent Software Vendors (ISVs) that need their applications available as a SaaS solution, and compliant with healthcare IT security standards such as HIPAA / HITRUST / ISO 27001, leverage our Azure Security Envelope and security experts to eliminate the expense and effort of going through your own certification process. We have extensive expertise integrating Azure clouds with other cloud solutions, and leveraging Azure Site Recovery and other advanced services from third party ISVs to deliver high-performance backup and recovery services, including Office 365 email backup. Our security and managed services experts for Azure can develop the right solution for your specific business needs. The Security Envelope includes the ISMScloud tool that gives your security and compliance staff visibility into how each security control is being implemented and satisfied.